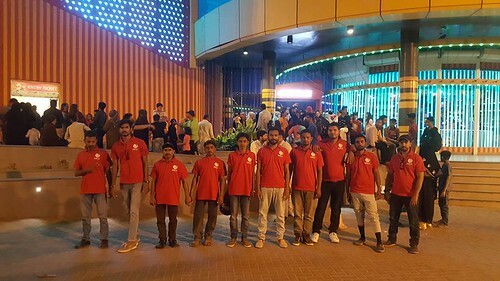 Recently, a group of young admirers of His Divine Eminence Gohar Shahi in Karachi, Pakistan, took the streets to raise awareness of His Divine Eminence Gohar Shahi’s teachings and ALRA TV. ALRA TV, Mehdi Foundation International’s Official Channel, has a growing audience of over 20 000 people on YouTube. We post videos in Urdu and English featuring HH Younus AlGohar, the CEO of MFI and representative of His Divine Eminence Gohar Shahi. From the ALRA TV Studio in London, we stream a live show, Sufi Online, every day at 9:30 PM BST. During Sufi Online, HH Younus AlGohar delivers lectures and answers viewer-submitted questions about spirituality, God, religion, society and much more. We’re so pleased to see the message of love, spirituality and interfaith harmony resonating with Pakistan’s youth, who have become fed up with sectarianism, extremism and corruption. We look forward to seeing more young people being inspired to adopt tolerance and understanding in Pakistan with the blessings of His Divine Eminence Gohar Shahi!